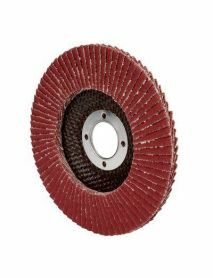 Abrasive Flap Discs are commonly used in high stock-removal applications on most metals such as stainless steel, mild steel, aluminium, etc. Select your Diameter under the Shop By filter on your left (found at the bottom if you're on mobile) to narrow down your search results. Speak to a BND expert via webchat or phone if you require technical advice.